Sharon Percy Rockefeller, president and CEO of WETA Washington, D.C., has announced the broadcast plans for “Smokey Robinson: The Library of Congress Gershwin Prize for Popular Song,” a PBS music special honoring singer-songwriter Smokey Robinson’s receipt of the Library of Congress Gershwin Prize for Popular Song. The program will premiere Friday, February 10, 2017 at 8 p.m. on OETA, as part of PBS Arts. The program will also be broadcast at a later date via the American Forces Network to American service men and women and civilians at U.S. Department of Defense locations around the world. The event, taping on November 16, 2016 at the Daughters of the American Revolution (DAR) Constitution Hall in Washington, D.C., will feature performances by Robinson, as well as Aloe Blacc, Gallant, CeeLo Green, JoJo, Ledisi, Tegan Marie, Kip Moore, Corinne Bailey Rae, Esperanza Spalding, The Tenors, Joe Walsh, BeBe Winans, and a special appearance by Berry Gordy, Founder of Motown — with Samuel L. Jackson as host and Greg Phillinganes as music director (program subject to change). During the event, Robinson will be presented the Gershwin Prize by Dr. Carla Hayden, Librarian of Congress, and a delegation of Members of Congress. The Library of Congress Gershwin Prize for Popular Song is named in honor of the legendary songwriting team George and Ira Gershwin. The prize is given annually to a composer or performer whose lifetime contributions exemplify the standard of excellence associated with the Gershwins. The Gershwin Prize was first awarded to Paul Simon in 2007, followed by Stevie Wonder in 2009, Sir Paul McCartney in 2010, the songwriting team of Burt Bacharach and Hal David in 2012, Carole King in 2013, Billy Joel in 2014, and Willie Nelson in 2015. 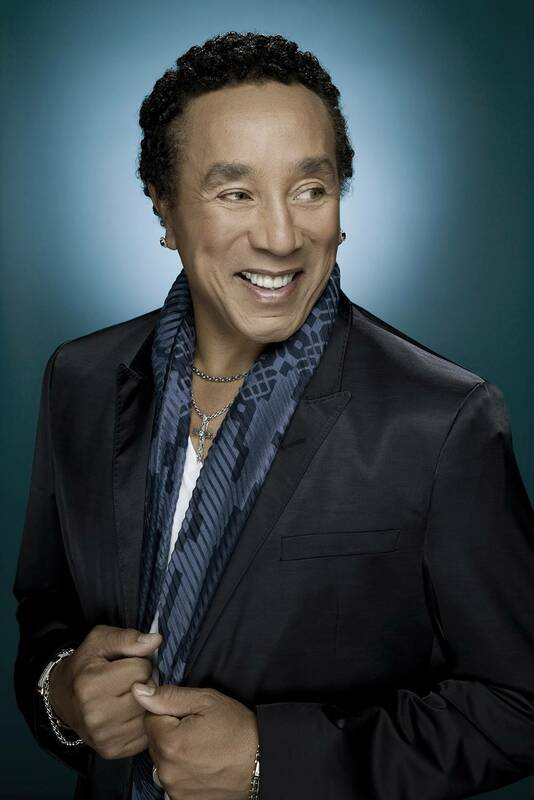 Producer, songwriter and Grammy Award winner, Smokey Robinson has released dozens of Top-40 hits and added more than 4,000 songs to his legacy songbook. His music reads like a playlist of Motown’s greatest hits and he is the creative force behind many Motown classics from “You’ve Really Got a Hold on Me” (1963) and “The Tracks of My Tears” (1965), to “I Second That Emotion” (1967), “The Tears of a Clown” (co-written with Stevie Wonder, 1970), “Cruisin’” (1979), “Being With You” (1981), “Just to See Her” and “One Heartbeat” (1987). “The Tracks of My Tears” was named to the National Recording Registry of the Library of Congress in 2007 as one of the nation’s culturally, historically or aesthetically significant sound recordings. A native of Detroit, Michigan, Robinson founded the Miracles while still in high school. Berry Gordy’s first vocal group, The Miracles released the single “Shop Around” in 1960, which became Motown’s first million-selling hit. Robinson’s collaboration with Gordy from day one of the Motown record label grew into a musical dynasty. Producer, talent scout and songwriter for Motown, Robinson also served as the label’s vice president for nearly three decades. Robinson and the other performing artists will be joined by a house band led by Greg Phillinganes (Music Director / Keys), and including David Delhomme (Keys), Paul Jackson Jr. (Guitar), Teddy Campbell (Drums), Nathan East (Bass), Kevin Richard (Percussion), Fred Irby, III (Trumpet), George Allen (Trombone), Brent Birckhead (Reeds), Kelly Levesque (Background Vocalist), Cindi Mizelle (Background Vocalist) and Jory Steinberg (Background Vocalist). “The Library of Congress Gershwin Prize for Popular Song” has been produced by WETA for PBS since 2007, with the support of PBS and the Corporation for Public Broadcasting. From June 2007 to the most recent broadcast in January 2016, these events have honored the musical genius of Paul Simon, Stevie Wonder, Sir Paul McCartney, Burt Bacharach and Hal David, Carole King, Billy Joel and Willie Nelson. The talented line-ups celebrating the honorees have included Yolanda Adams, Marc Anthony, Tony Bennett, Wayne Brady, the Jonas Brothers, Elvis Costello, Sheryl Crow, Gloria Estefan, Michael Feinstein, Faith Hill, Diana Krall, Lyle Lovett, Martina McBride, John Mellencamp, LeAnn Rimes, Emeli Sandé, Jerry Seinfeld, Kevin Spacey, Esperanza Spalding, James Taylor, Will.i.am, Jack White, Stevie Wonder, Edie Brickell, Leon Bridges, Ana Gabriel, Jamey Johnson,Cyndi Lauper, Buckwheat Zydeco, Micah Nelson and Lukas Nelson & Promise of the Real. “Smokey Robinson: The Library of Congress Gershwin Prize for Popular Song” is a co-production of WETA Washington, D.C., Bounce AEG and The Library of Congress. The executive producers are Dalton Delan, Carla Hayden and Michael Strunsky. The producers are Bounce’s Tim Swift, Kristi Foley and, for the Library of Congress, Susan H. Vita. The director is Leon Knoles. The music director is Greg Phillinganes. The Library of Congress Gershwin Prize for Popular Song is made possible through the generous support of the Corporation for Public Broadcasting, PBS, and public television viewers. Funding is also provided by The James Madison Council of the Library of Congress, The Ira and Leonore Gershwin Fund, The Leonore S. Gershwin Trust for the benefit of The Library of Congress Trust Fund Board, and AARP. Air transportation is provided by United Airlines. For more information about “Smokey Robinson: The Library of Congress Gershwin Prize for Popular Song,” visit www.pbs.org/Gershwin-Prize. An electronic press kit, including downloadable talent photos for promotional use, is available at www.pressroom.pbs.org. To follow “The Library of Congress Gershwin Prize for Popular Song” on Twitter, use hashtag #PBSGershwin. More information on the Library of Congress Gershwin Prize for Popular Song can also be found at www.loc.gov/about/awards-and-honors/gershwin-prize/.